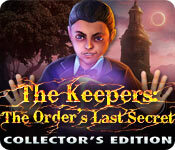 The Keepers: The Order's Last Secret Collector's Edition is rated 3.8 out of 5 by 61. Rated 5 out of 5 by smoovasbutter from Nice sequel It seems this game is not quite as well received as The Keepers Lost Progeny but I think it is just as good. It is more medieval fantasy than horror related this time. Good graphics and soundtrack. Nice story and bonus game. Rated 5 out of 5 by JustTheFacts from Top Notch Game ***** GAME JUST COMPLETED I honestly thought I was over gushing about the graphics, but here I am again. Wow! This game just looks so professional, you are already convinced before you get past the intro. But it’s not all about the graphics, or even mostly, because this game is top calibre stuff all the way. We’ve met these people before, these Keepers, of which we are one; and the evil Vlad has crossed our path. But this time the world really will end if we don’t stop him. He’s after the infamous Pandora’s Box, and in his hands, that means havoc and destruction for at least 500 years. There’s much of interest and an interesting interpretation on history in the story, and you’ll need to be attentive in order to understand some of the actions required. You have a good journal for that and a jump map of different design from the norm. In the beginning there is a lot of cutscenes and dialogue (very well done, but not in sync), as the backstory is laid out for us. Soon enough, we’re on our own though. 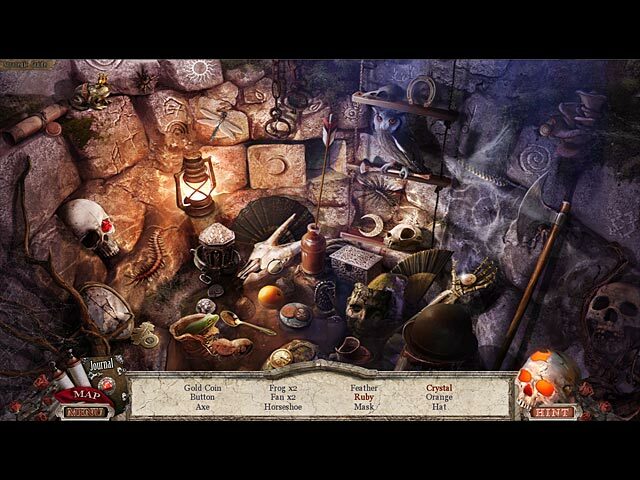 The game starts out quite easy – I was quite surprised at the simplicity of the puzzles, having played the other Keepers game (not essential to this story, but a great game) - but the surprise was short lived. It soon became the more complex and intriguing game I expected. I enjoyed the HOS, which were interactive and often required more than one action before receiving an object. The graphics on some were not as good as they should have been, but they were interesting and challenging. The puzzles, some new some old, some unique to the Keepers series, ranged in difficulty, getting harder as they went. There are Achievements (all easy to get), and morphing objects to collect. Like the puzzles, the morphing objects start out very easy to see, but as the game progressed, become more tricky. You can’t beat a game like this. Interesting, challenging and best of all, fun. 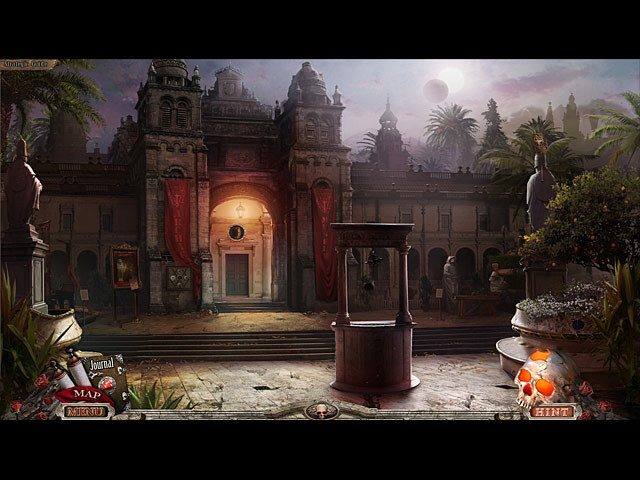 Bonus Content Review ***** Briefly, the bonus game was as good as the main game, relevant to but necessary for the main story, and with new locations and puzzles. The standards are all there – wallpapers etc. Achievements and morphing objects are exclusive to the CE, as are the extra mini-games, and of course the Strategy Guide. I particularly appreciate these last two, because I am looking forward to understanding and winning some of those trickier mini-games before I play this again! I recommend this game! Rated 5 out of 5 by boatgirl4347 from BING BAM BLAM!!!! IS BLAM ELEPHANTS SON???? I DIDNT THINK ANYONE COULD EQUAL ELEPHANTS BEAUY IN COLOR OR MUSIC OR SPECIAL EFFECTS OR STORY OR INTERACTIVE HIDDEN OBJECT SCENES OR LENGTH I WAS WRONG!!! PLAYED BOTH KEEPERS GAMES THIS ONE IS BETTER HOLDING MY BREATH TILL THE NEXT THANK YOU FOR A TRULLY AWESOME GENIUS GAME!!! Rated 5 out of 5 by BabyFish82 from THOSE DEVS ARE GREAT!!!! I really love that these devs always chose some interesting settings and topics! This time it was a Da Vinci Code, but even better for me! Graphics were wonderful, and music as always also faboulous! I can't wait to see more of their games soon! I love the way they tell a story and I think their puzzles are amusing and NPC are so interesting, that I really enjoy their games! Rated 5 out of 5 by krinneyd from Great Game,,,,,even better than The Keepers Lost Progeny! Great graphics, puzzles were just hard enough and many were really entertaining. Still wish they were longer but this one "seemed" to last longer than usual, but I'm really trying my best to draw the CE's out longer for better enjoyment. I find sarcastic and rude comments completely UNHELPFUL and condescending as well as the need to seem superior completely self serving and does not give the developers any indication of what (if in fact there was anything wrong with the game) that needs to be looked at and changed. Nor is that kind of "review" helpful for other gamer's as to getting an informed perception of the game's value. I have noticed a definite change in the HO's due to the comments and requests by gamer's for more intricate/interactive HO's to play, better and clearer graphics and certainly more challenging puzzles!! The ONLY complaint not really addressed has been length..... and perhaps there is some "standard" or such that is followed but unless there is a definite change I think I will be less and less inclined to buy the CE's....for now it's still very entertaining an JUST long enough to motivate me to buy......should that change for the worse........ Anyway, this was an absolute pleasure to play and look forward to more or possibly BETTER!! Thanks BF. Rated 5 out of 5 by lucygirl7 from Fast paced adventure This is a great game and a must buy! There are morphing objects, lots of places to explore, nice scenery and not too many puzzles where you get overwhelmed and miss the story. I just hated the demo to end because it kept my interest as I moved around from place to place and room to room. So far I have only encountered two people but I would assume that would pick up. There is a map to help you get around, a diary, a strategy guide and a hint button which will lead you to where you need to go next. This is a great game and also different from the norm. Rated 5 out of 5 by janmo8225 from TORO TORO TORA Fun easy to read and see. Like more of.